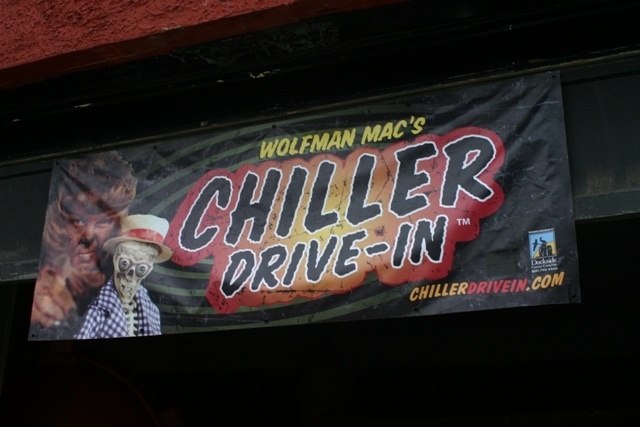 Wolfman Mac’s Chiller Drive-in Open House! Last Thursday, I headed up to Michigan to attend the studio Open House for “Wolfman Mac’s Chiller Drive-in!” Prior to this event, I wrestled with the idea of making a nearly five hour exodus for the value of an evening’s worth of entertainment but, realizing the rarity of this opportunity, decided to just go fort it. In the end, it was well worth it! We laughed and chatted a bit before I signed us all in on The Chiller Drive-in’s guest registry. Later, Dean signed my 8×10 photo (above) which was really nice. 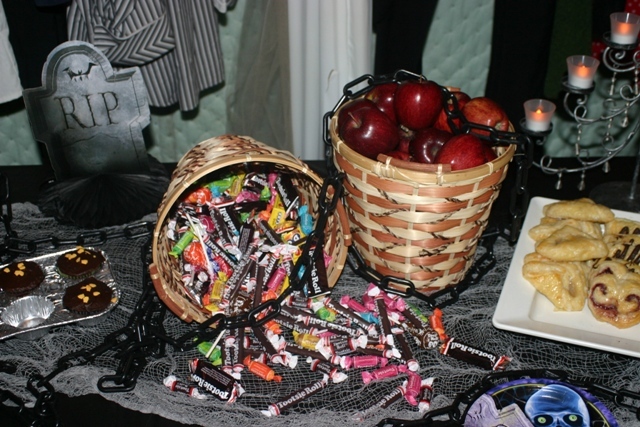 After entering, you were treated to some amazing sights befitting a haunted house! 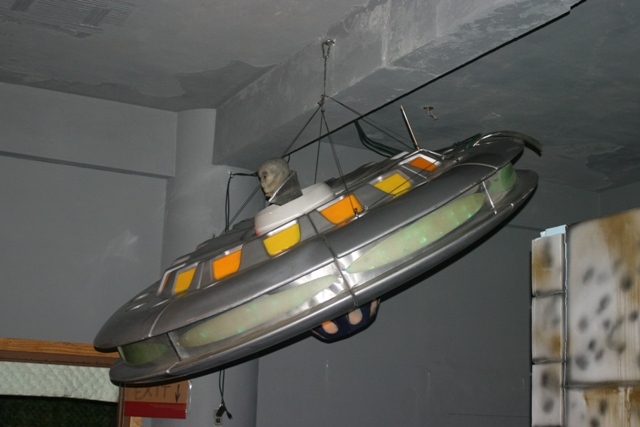 The first thing I noticed was a large, hanging UFO complete with alien pilot above. To the right there was an old hearse, television monitors giving a sneak peek at the newest Wolfman Mac episode (HOUSE ON HAUNTED HILL) and Madame Nina telling fortunes to those who dared approach. 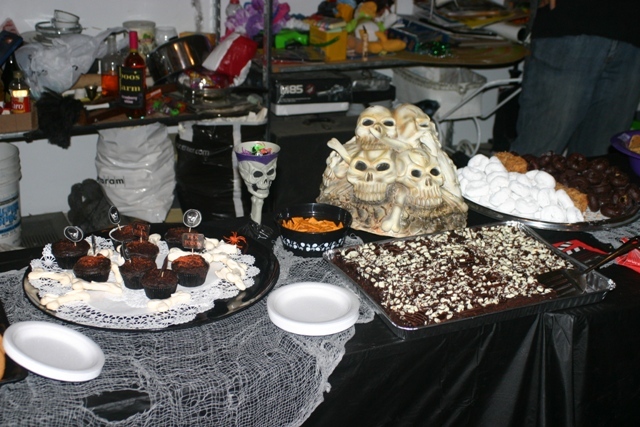 As we entered the next section, we saw a bevy of Halloween style treats that would make Martha Stewart envious! 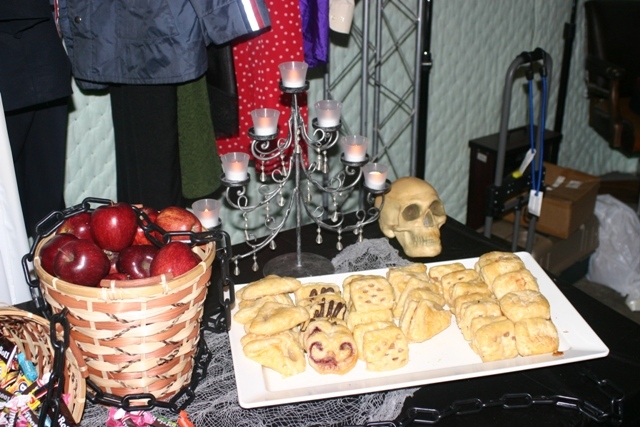 One look at all those homemade goodies along with spooky, decorative touches instantly put me in the Halloween spirit! In fact, I consider the whole experience to be the ultimate kick-off to my favorite holiday. 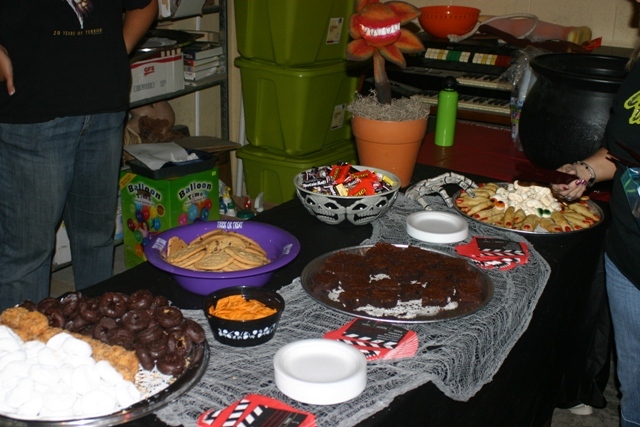 After a pit stop in this room, it was time to see The Chiller Drive-in’s “real” concession stand. 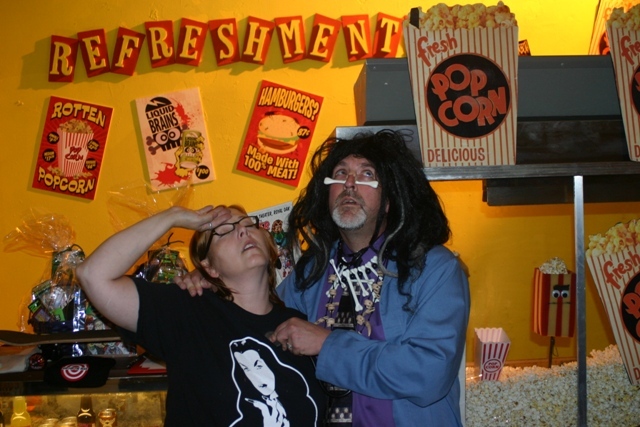 The stand itself had a vintage feel, representing the golden era of Drive-in cinema. 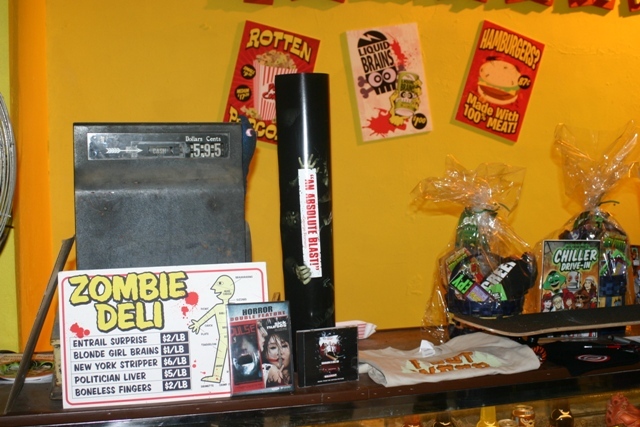 Vicki Vanderkolk, producer of the show, was selling Chiller Drive-in merchandise. It was great seeing her again and she had been so helpful in sending me directions that, unlike Mapquest, avoided a lot of road construction. Suddenly everyone began heading towards the “projection room” of The Chiller Drive-in. Wolfman Mac had entered the building. 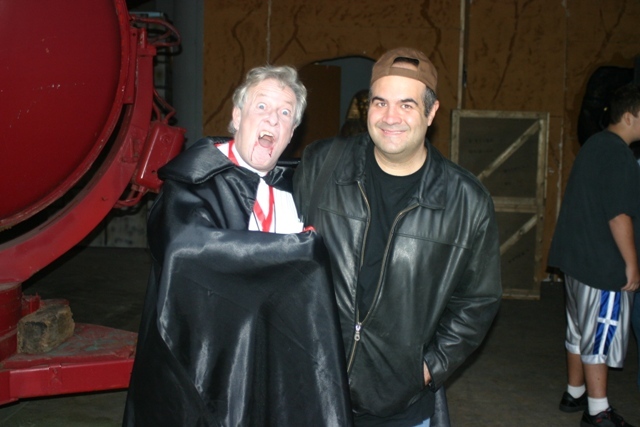 This entry was posted in Horror Hosts and tagged ALIENS, DAVE IVEY, Dean Vanderkolk, flying saucer, MADAME NINA, Magic Eight Ball, Richard Bobier, Scary Grant, The Chiller Drive-in, UFO, vampire, Wolfman Mac. Bookmark the permalink. ← Ode to PUMPKINHEAD: One Hell of a Great ’80s Monster! Thanks for making the trip out to Pontiac for our open house. It’s great that SOMEBODY is dedicated to covering stuff like this. I don’t believe any of the local media bothered to show up. 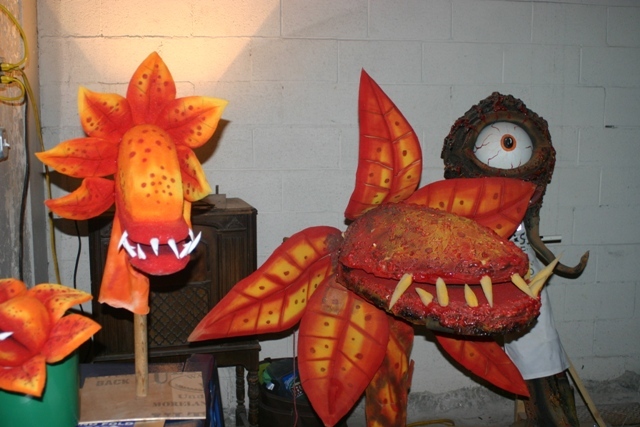 My name is Dave Ivey and I made all those foam props you photographed. As well as the “Lab Gargoyles” and many of the other props on the sets. I was Oscar The Ogre for a couple of hours too,( A costume I made over 10 years ago). I also used it at HORROR HOUND with “The Milkman” and “Robot Chicken”. I can’t believe you guys are sending tapes of the show around. That’s amazing. I hope we’re able to get on the air in Chicago soon. Dave – I not only appreciate your kind words but the tremendous work you do as well. You’ll be featured in an upcoming blog entry because I was fortunate to have gotten a photo with you (as Oscar)along with Wolfman Mac at the Open House. Did you play The Milkman in Mac’s presentation of EVIL BRAIN FROM OUTER SPACE? I just watched that yesterday (bought it from you guys Thursday)and have been cracking up about it ever since. Best line: “Get em boys! Let’s show him how intolerant lactose can be!” HAHAHAHA!I’m ready to drive back up there so I can shake your hand. 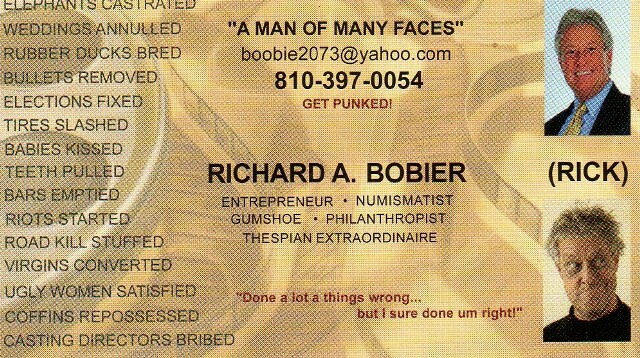 I would love for your show to make it down here as well. 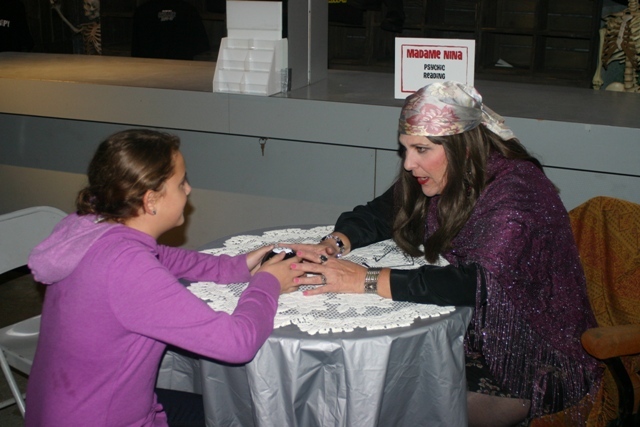 My kids really respond to it and, thanks to me, they’ve seen just about every host in the country. I really think you’ve got a bright future ahead. PLEASE keep up the great work! 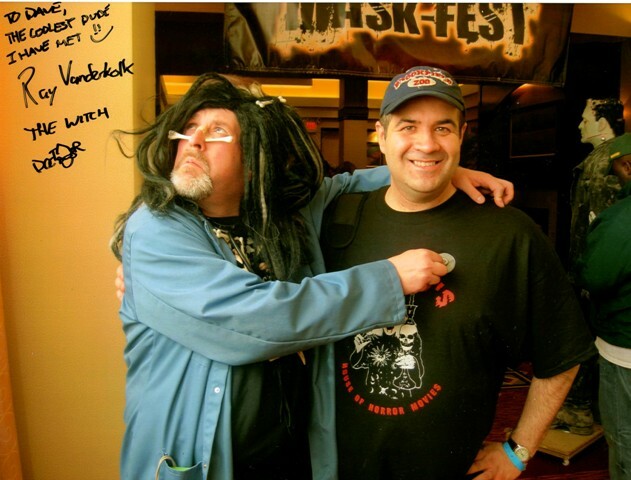 I just want to thank both Daves for their blogs! I look forward to reading what you have to say and seeing the great accompanying pictures. Keep up the great work!!! It is highly appreciated!